our accommodation in europe guesthouse didn't include breakfast and it was no biggie since we already had a cheap rate at 9USD per person for an A/C room! and we had the most accommodating host on top of that! 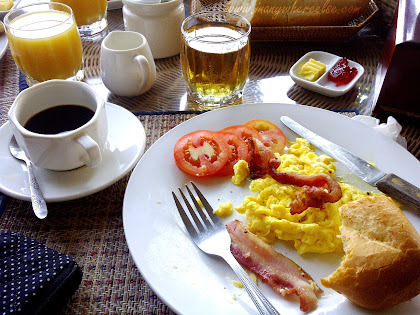 anyway, we started our day right with the most important meal of the day in a restaurant, where we had promised a waitress the previous night that we would come by for breakfast. she was so helpful that she recommended the mekong river restaurant across them because they would close at 11PM and we won't have that much time then. mekong river restaurant, by the way operates 24 hours. as i was writing this post, i felt dismayed because i completely forgot the name of the restaurant and it isn't mapped out in google map yet. 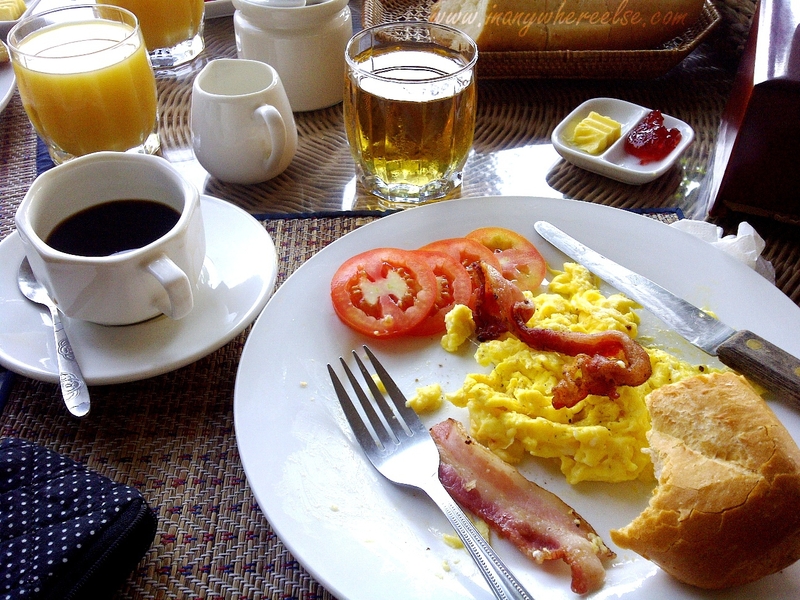 i almost finally gave up after i browsed my notes in my handy notebook and sadly, there was no account on our breakfast. just then a spark of hope lit up and i was able to find a picture of the receipt! my memory surely couldn't be trusted. 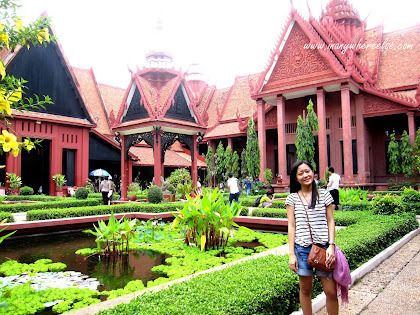 with our stomachs happy and our body teeming with energy, we began our short morning tour at wat phnom. 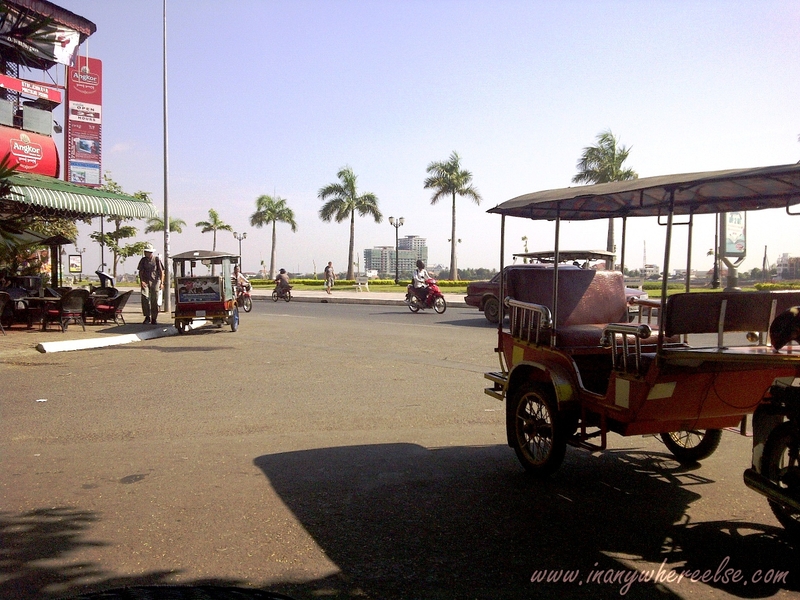 we hired one of the tuktuks waiting near the restaurant. 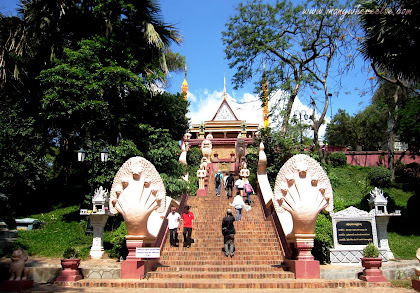 it was again another scorching day and to make it worse, we had to endure climbing the steps towards wat phnom. it was a good choice to do wat phnom first because we still had our energy at the maximum level. wat phnom is a buddhist temple built in 1373 on top of a hill and up to this day, locals still use this temple as their place of worship. i didn't go inside because in my intuition, i felt that i wasn't dressed appropriately. the restoration of the temple is very evident because at first glance, you won't know that it has already served for hundreds of years. we were only here for a while, to give way for the local worshipers. Locals get in for free. 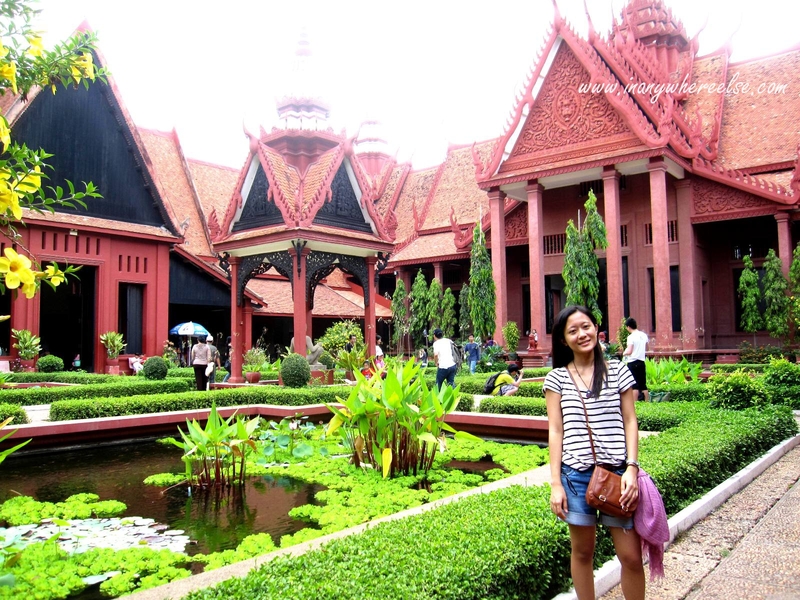 usually, the royal palace and national museum go together in one's itinerary but we didn't have much time left the day before. we contentedly settled in a slow but relaxing pace. the building was exactly as i saw in the pictures and the architecture is beautiful beyond words! this is one thing i like cambodia. they keep their identity by preserving what they had in the past and they rightfully showcase them to the rest of the world. 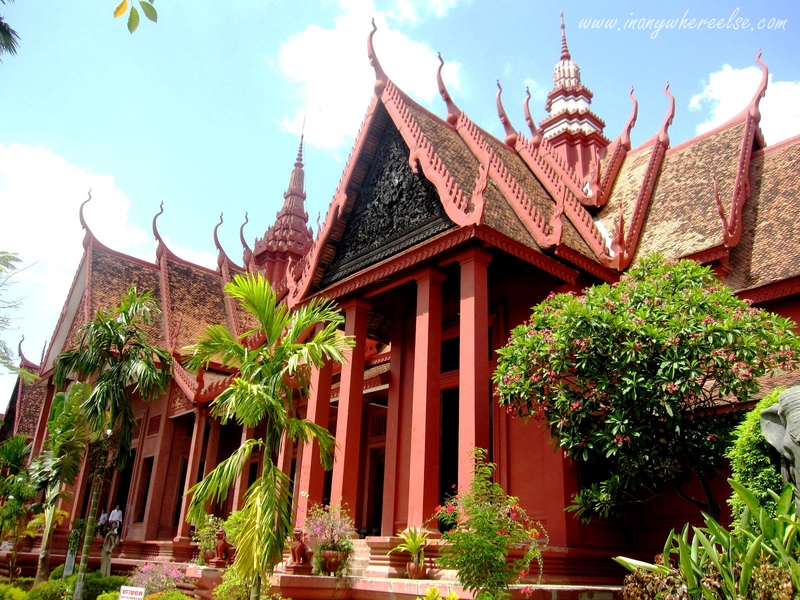 the museum isn't the usual humdrum display of dusty antiques but it is full of cambodia's rich history and culture which dates back to as early as the 10th century. 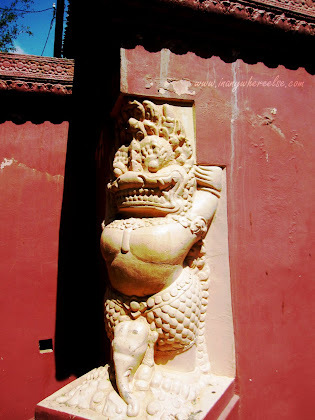 there were a lot of ancient statues of different deities which marked the influences of hinduism in cambodia's buddhism. a guide may also not be necessary since there are notes plastered near the display and one can just eavesdrop a group with a guide and then hop on to the next. does it sound that it's exactly what we did? photography is not allowed inside the museum but we were able to use our cameras in their garden which is at the middle of the museum. i know i'm an eye sore in this beautiful garden but i just couldn't help myself to be in it! 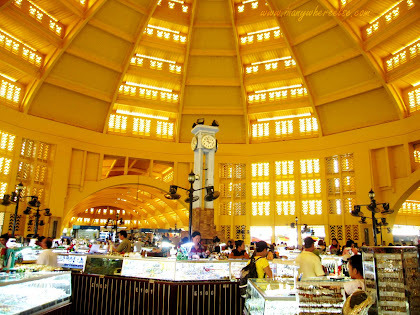 central market was the least of our priorities but anyhow, we were able to squeeze it in. it was a lovely dome, with organized stalls and it was clean. yes the dome is yellow and not blue. 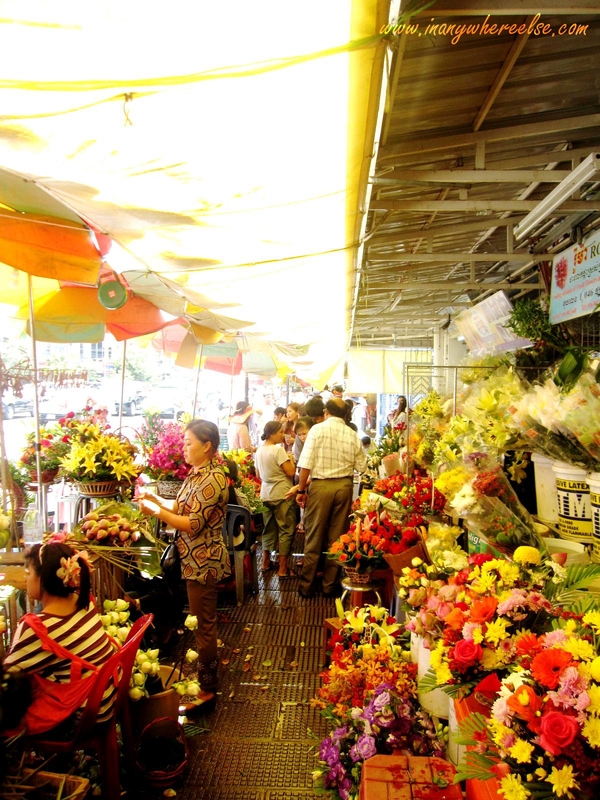 we quickly went around the market and bought a few local things. it was my brother who carried much loot, taking forever in using his haggling skill. the flowers were a pretty sight amid the fiery heat. i wonder where these flowers came from because i'm not sure if there are flowers that can survive the heat. eva suggested that we dropped by at the local post office for she wanted to send some postcards to her dear ones. we initially thought that it was closed since it was a sunday but much to our delight, our tuktuk driver told us that it was open! 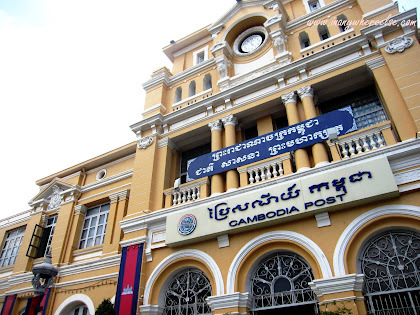 for southeast-asian countries, it's only 2000Riel or 0.5USD per postcard. i sent a postcard to myself here in singapore and it arrived after 2 weeks. i still haven't asked my family in the philippines if they have already received their postcards. 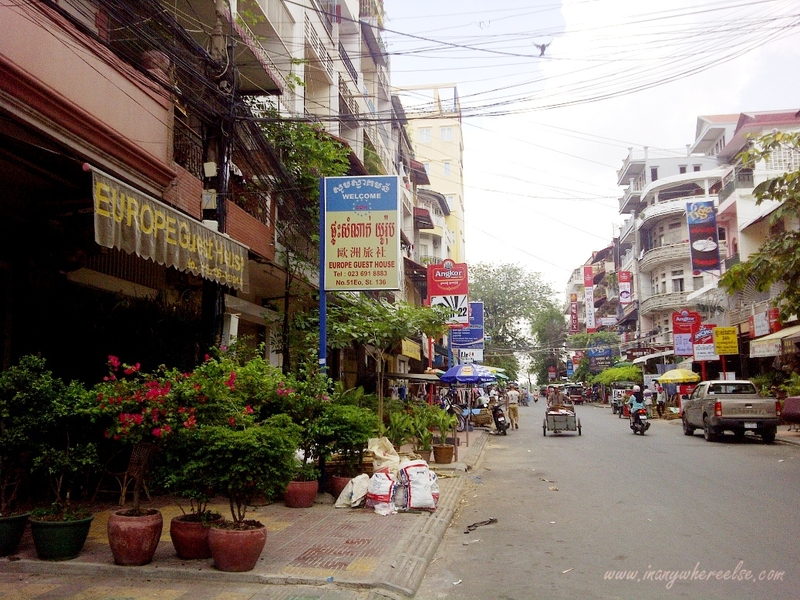 it had been a short but pleasant stay in phnom penh and it was so nice to know you. i hope i can visit you again and i'll have another spike in my appetite. 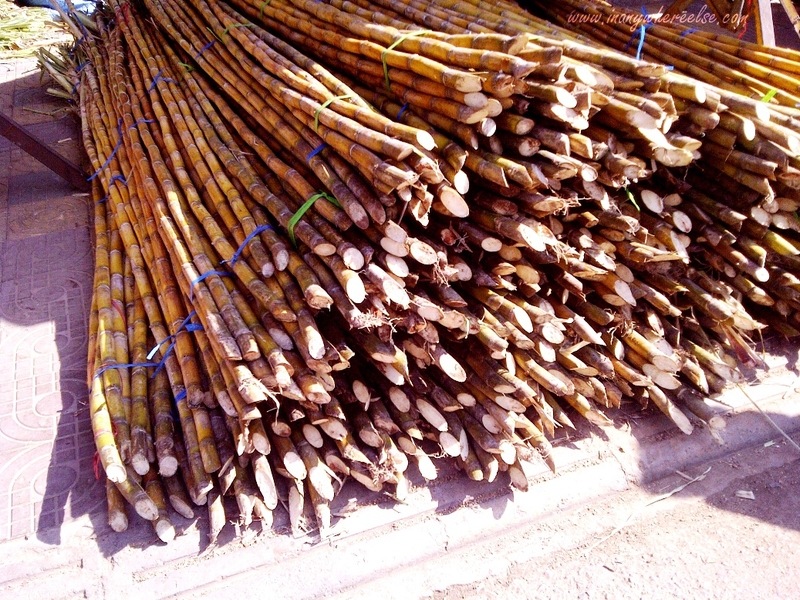 i apologize for the random photo of sugarcane. it isn't my first time to see one but in fact, i had seen it hundreds of times back in the day. this is just one of the things how phnom penh reminds me of home. after all, i'm a country girl at heart and currently trapped in a city's distress.